You are here: Home / Relationships / Jealousy: How Much Is Enough to Send Your Relationship to Splitsville? Jealousy: How Much Is Enough to Send Your Relationship to Splitsville? Jealousy is without doubt one of the most powerful and deadly human emotions, and it can wreck a relationship faster than nearly anything else. If you doubt me, dust off your old copy of “Othello” and read it again. But we get mixed messages from our culture, from Hollywood and the Romance Industry, about jealousy. How many times in soap operas does one partner pretend to be interested in another person to make their lover jealous? In movies and on TV this is a popular way to rekindle the romantic flame in a relationship. Of course, I don’t need to tell you that not everything you see on TV and the silver screen is true! Remember, what producers and directors decide to put on the screen is not meant as a realistic guide to living your life – it’s meant as entertainment. The mundane lives of ordinary, unheroic individuals aren’t usually extreme enough to make the cut. Still, is a little jealousy a good thing? How much? And how much is a bad thing? How much will eventually destroy your relationship? 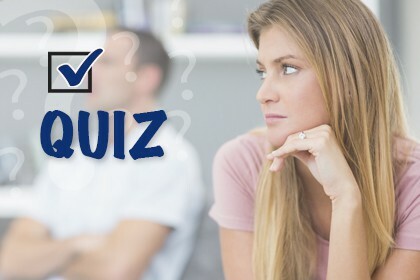 As with many questions, this is one it is best for you to answer honestly for yourself and your partner. It’s also quite a different story if there’s a past history of cheating during the course of your relationship, and in this case, jealousy is often warranted. How jealous are you? What situations trigger jealousy in you or your partner? More importantly, how do you act when you are jealous? As Shakespeare said, “There’s the rub.” That’s the real problem. Feeling jealous is one thing. Acting crazy because you feel jealous is another thing. A little twinge of jealousy is just a feeling. Everyone probably feels that way now and then. It’s a normal human experience. Your partner mentions another person in a positive way, someone from work, perhaps. You feel a little jab of jealousy. Should you mention it? It’s fine to say something. Remember my general rule that you can say anything you want to your partner, so long as you are prepared to let go of it afterwards. If you are saying it to honestly express your own true feelings, that’s fine. But if you hang onto it afterwards, keep saying it over and over again, then you are trying to bully and control your partner. What you’re hoping is that your partner will change their behavior because of your feelings. You can’t really change or control another independent human being – ultimately it is a fruitless, frustrating experience. The only person you really have control over is yourself. So look at your reactions to your jealousy. Do they come across as nagging, hectoring, blaming, berating and ultimately bullying? Do you play up your hurt feelings or get really angry and rage at your partner to try and force them to behave differently? That’s the road to Splitsville, or worse. Jealous anger is really dangerous. Shakespeare wouldn’t have written a play about it if it wasn’t true – jealousy out of control leads to a lot of tragedy in our lives, from broken homes and wrecked relationships all the way to murder. 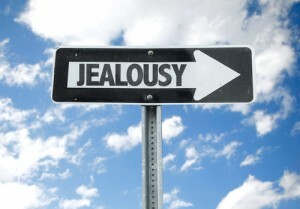 What are some options when it comes to dealing with jealousy? One good way to defuse it is to talk about it. As with so many relationship issues, the best solution is usually an honest conversation with your partner about how you feel. A conversation like this does two things – it lets you express your jealousy in a healthy way and it also lets your partner know, in a non-bullying, non-shaming way, how their behavior affects you. It also reminds them that you love them and want to continue your relationship. I recommend that couples have regular “check in” conversations where they take turns talking about how they feel and what’s going on in their lives. Too many couples today avoid talking honestly with each other. These check in conversations don’t always have to be about negative things, either. I encourage you to be honest with your partner when you are feeling happy. If you can’t easily have an honest conversation with your partner without fighting, then you might want to seek professional help. A trained therapist will act as a referee and keep you both safe during difficult conversations. They’ll also teach you how to express your feelings safely, and give you a broader emotional vocabulary. 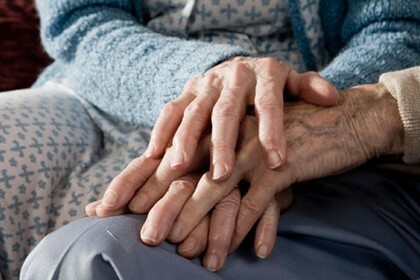 Even if your partner won’t agree to go to a therapist, going on your own has many benefits. You will get professional help from a disinterested expert about how to communicate your jealousy to your partner without attacking them. 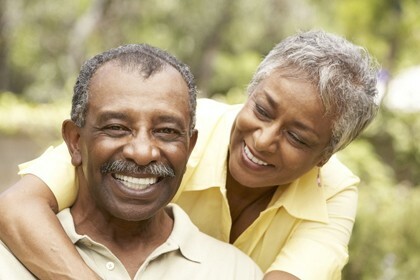 Eventually, your partner will sense the change in you and may even decide to try therapy with you. And, again, if you two can’t keep it civil while talking, consider getting some professional help. If your partner’s angry and jealous and won’t come to therapy, you can even make progress going on your own. The therapist will help you learn how to react safely to your partner’s jealousy and anger, how to defuse tense situations. In extreme situations, where you feel you might physically hurt your partner, or they might hurt you because of jealousy, seek the help of a trained professional therapist. That’s a situation you can’t work out on your own. You need help right away. Sign up for Brad’s coaching program to help you and/or your partner get the relationship back on track.